The perfect balance between classic and modern. 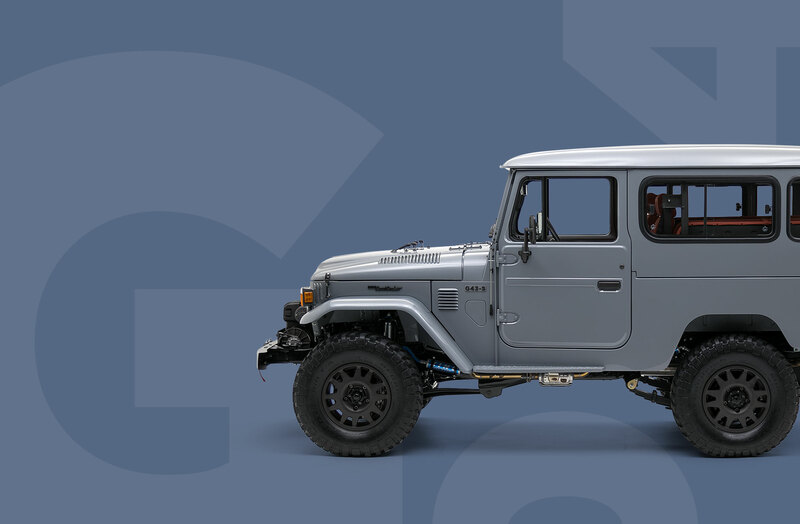 Custom built using an authentic body and chassis of a classic Toyota Land Cruiser, the G40 redefines the vintage 4x4 experience. 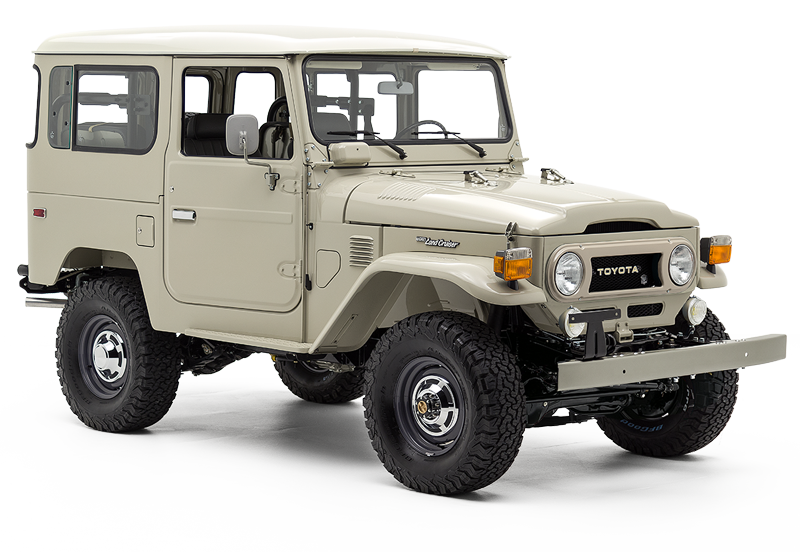 As you’d expect from The FJ Company, every G40 begins with the steel armor of an original Land Cruiser – expertly restored and equipped with the iconic grille and badging that’s been part of the Land Cruiser’s DNA for decades. 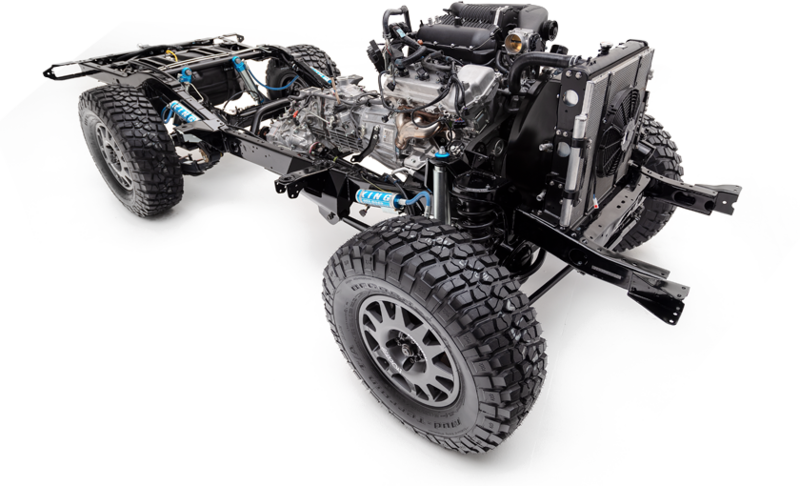 Beneath that rugged metal, you’ll find a powertrain that even the purists will appreciate: A factory-fresh Toyota engine paired to a Toyota 5-speed manual transmission. 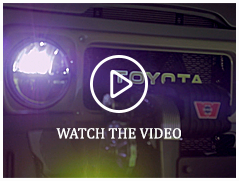 In the tradition of the original, this custom Land Cruiser was built to be unstoppable — to outperform and outlast the best of them on mud or pavement, rain or shine. Classic does not compromise comfort. The G40 comes equipped with modern seating options, air conditioning and heater, a modern digital cluster, Bluetooth-enabled sound system and more.